The Cashmere Wool, popularly known as Cashmere derives its name from the Kashmir region where the Mountain Goats’ are abundant. Locally known as Chyangra, these mountain goats develop the soft and warm fur on their underside which, is trimmed to create fibres and weave the Cashmere garments. 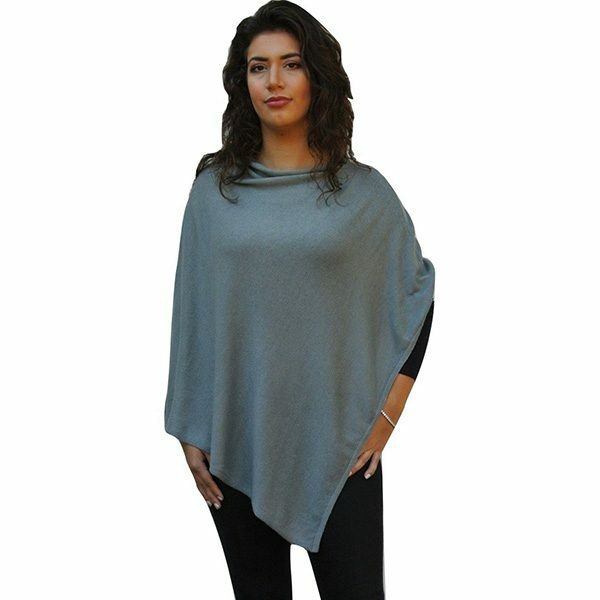 The cashmere poncho is one such fashionable and useful product manufactured from the undercoat. 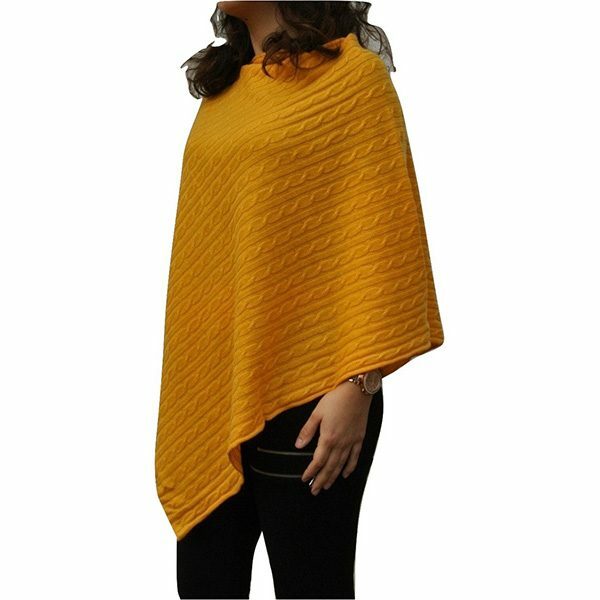 In mountainous regions like Nepal or Ladakh, you will find locals use these ponchos as their regular garments while in the urban areas, these ponchos are sold in some exclusive stores. The undercoat fur is trimmed and fibres are de-haired 100% from the Cashmere goat with scientist name of Capra hircus laniger. 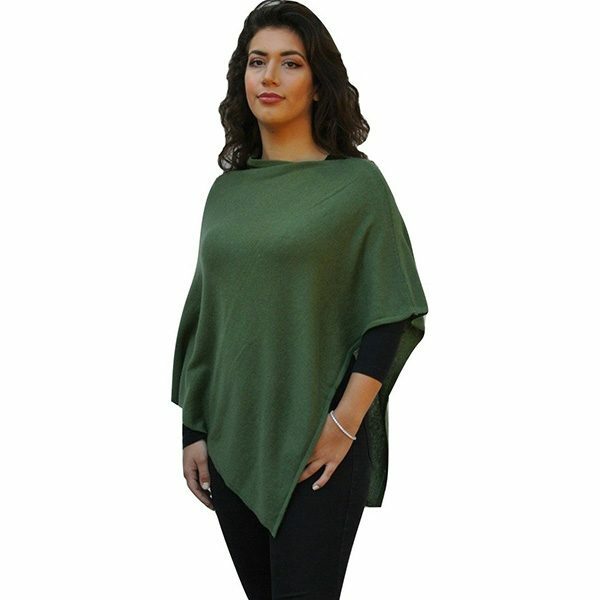 The garment has less than 30% Cashmere fibres with 30 microns diameter as average. The Cashmere Goats develop double fleece coat in their neck region –the coarse and straight outer “guard hair” on the soft fine underdown hair. After trimming, the soft underdown hair is separated by de-hairing and Cashmere fibre is obtained for dyeing. During moulting season in Spring i.e. in March-May, the whole process is done by hand in the Nepal Himalayan region. By raking a coarse comb through fleece, the coarse hair and soft underdown hair is separated and greater amount of Cashmere is obtained. 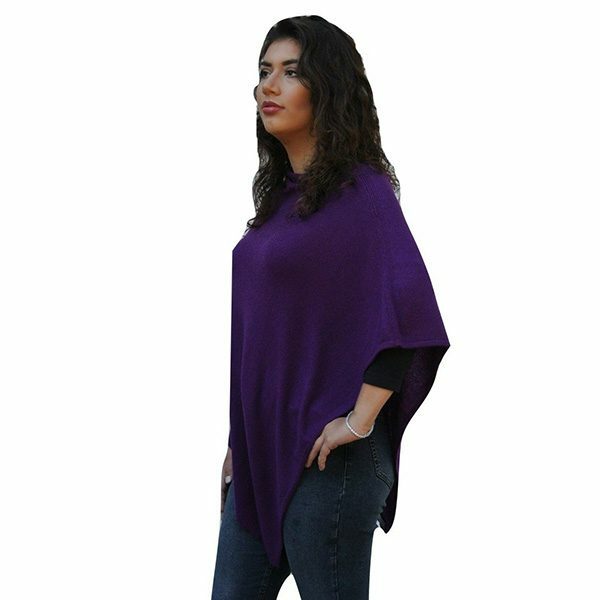 The ladies poncho available at Karianne’s is designed perfectly to suit all age groups. 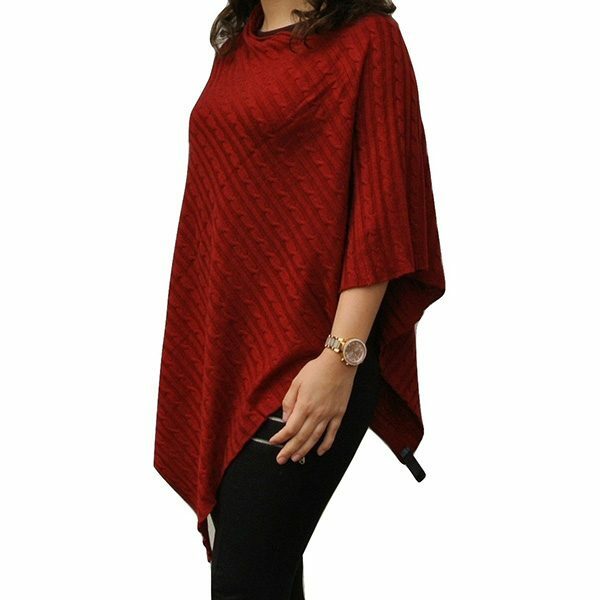 Be it as a gift your daughter or for any aged person, wear it like your own fashion statement or use for daily use –the ponchos are suitable perfectly for all ages and all purposes. Check this product from Karianne’s Secret and judge by yourself. 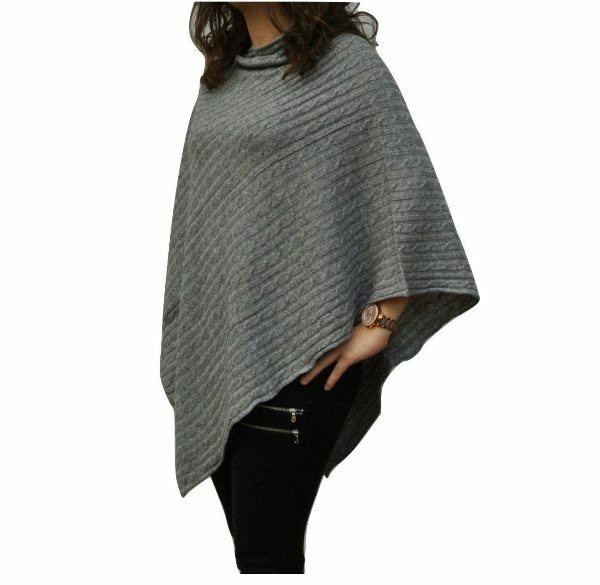 The ponchos, as mentioned earlier on the manufacturing process, are knitted in the minute traditional way in Nepal. 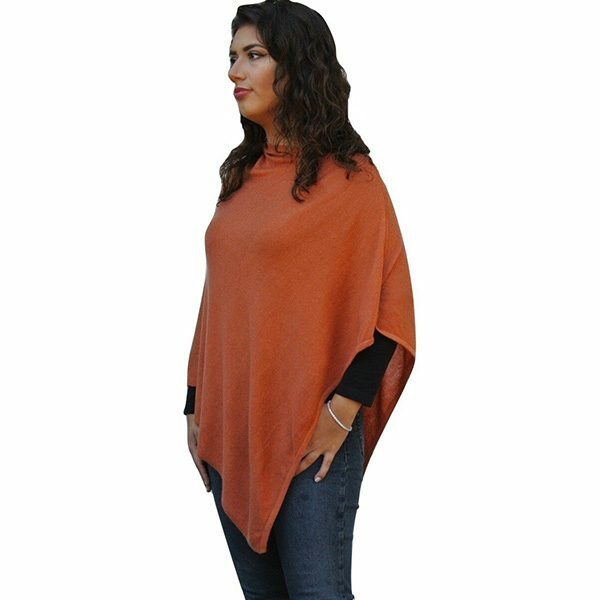 Exported exclusively from the Karianne’s Secret in Nepal, the cable knit ponchos come with classic design and hence, they are thicker than other lightweight garments. 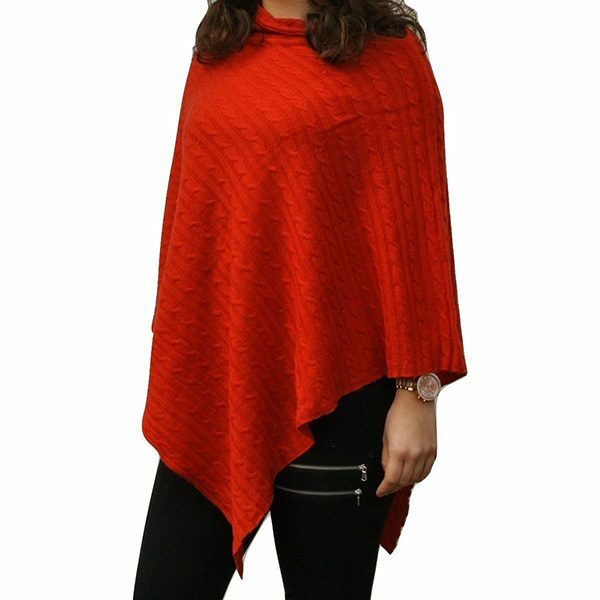 Moreover, they favour more insulation than the general woollen ponchos available in markets, so you can stay warm and stylish at the same time, no matter how harsh the weather is. 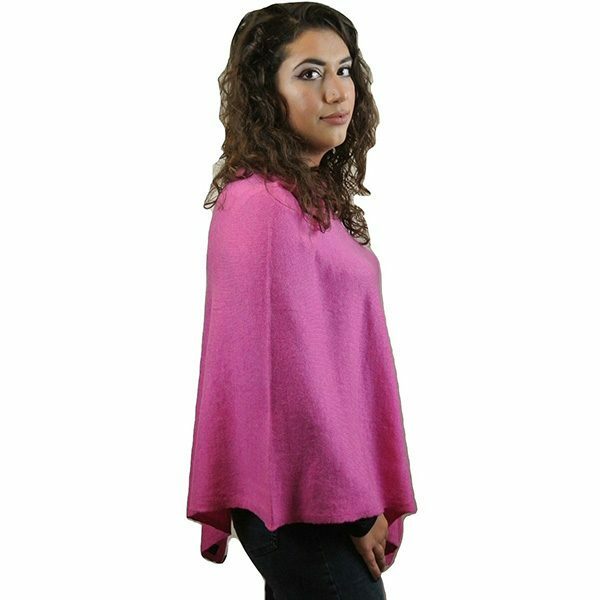 See this Rose Pink Cashmere Poncho and you will find how you can create style statement with winter garment! 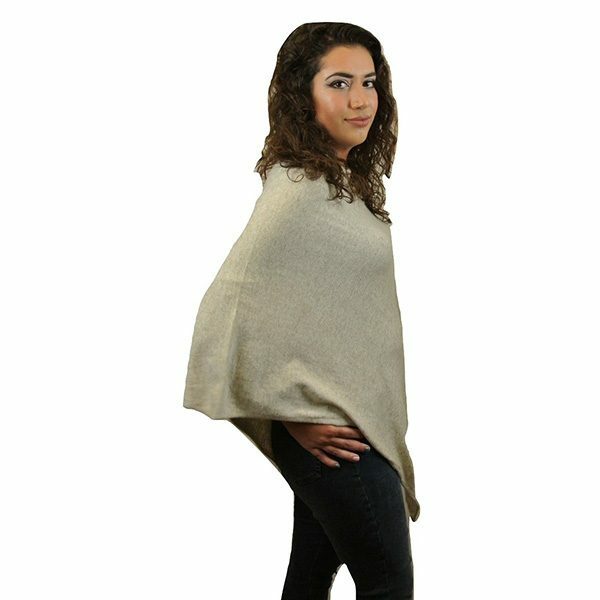 According to size charts of UK, the Cashmere Poncho wraps are woven. In general, the dimensions mostly used are 70 cm length, 65 cm width and 65 cm height. 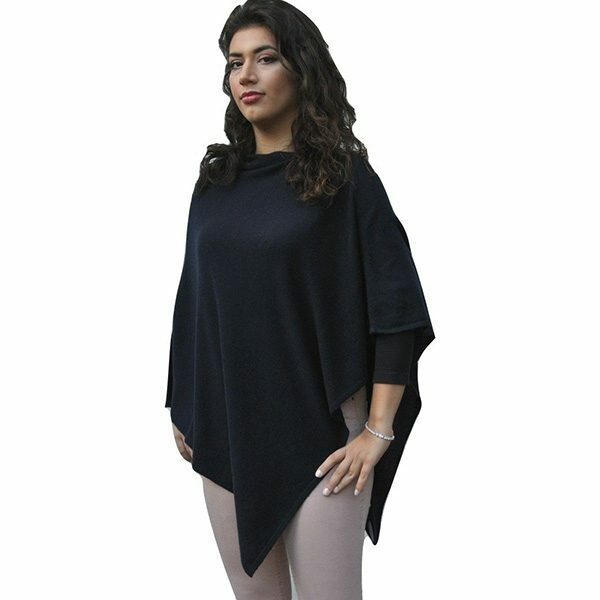 All of our poncho’s are one size and we believe this is suitable for UK sizes 8 to 16. 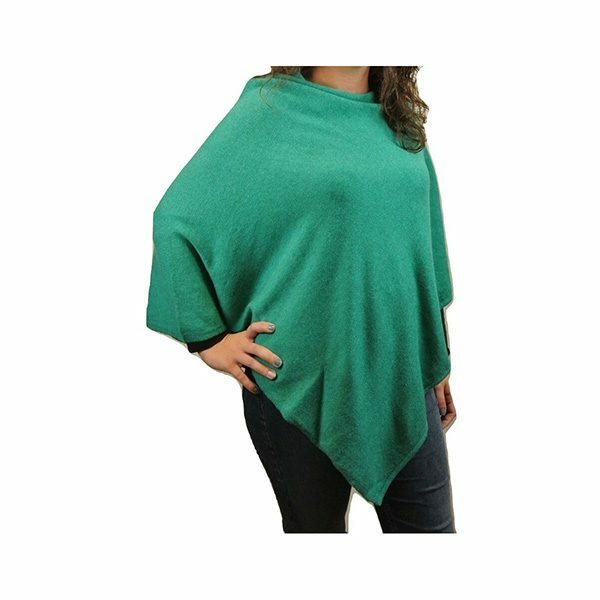 According to your choice and age, you can check out the Cashmere Poncho sale to get the ponchos of your choice of colour. 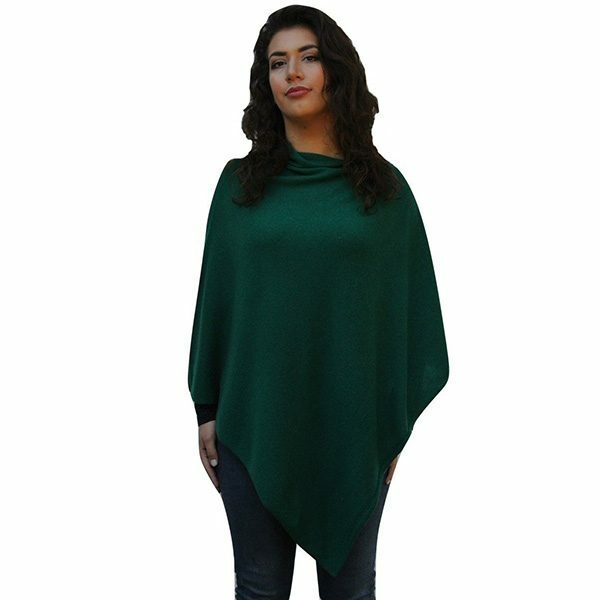 Those looking for classy dark coloured ponchos will have options of black, brown, Khaki brown, purple, Navy blue and racing green. See this for example. Those having inclination towards the vibrant and lively colors, can have the options like Rose Pink, Emerald Green, Royal Blue, Cherry Red and Burnt Orange to add some drama in their overall getup. 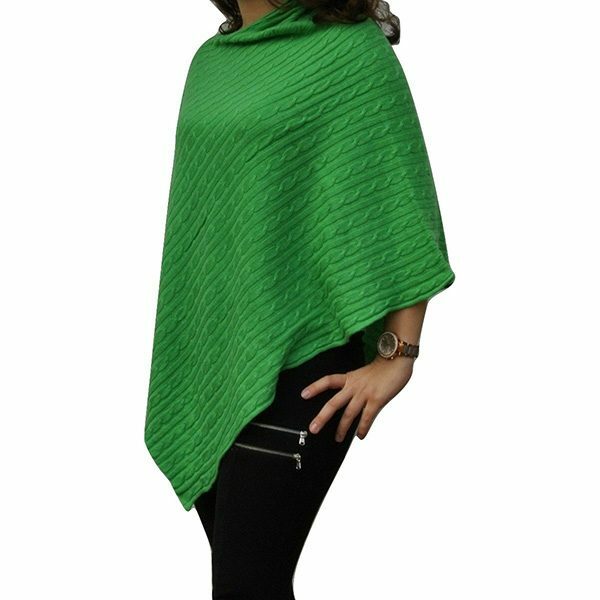 Check out the Emerald Green Poncho for reference. 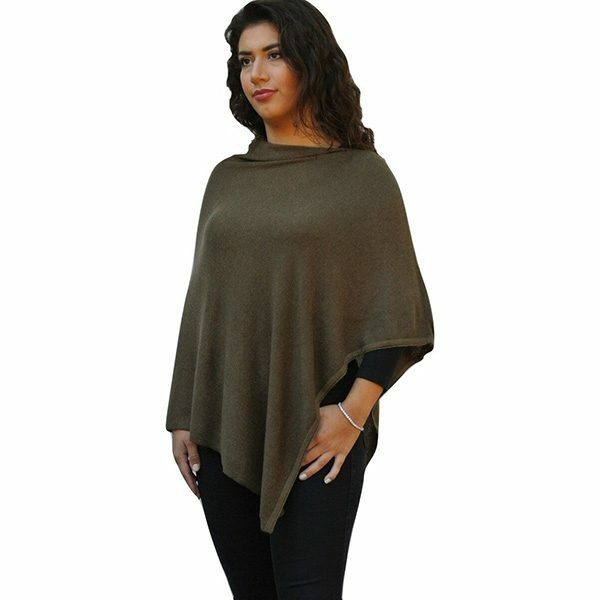 To create a subtle look with your winter garment, the Forest Green, Oatmeal Beige, Mid Grey, Dark Grey and Pale Grey Cashmere Ponchos can be your options. 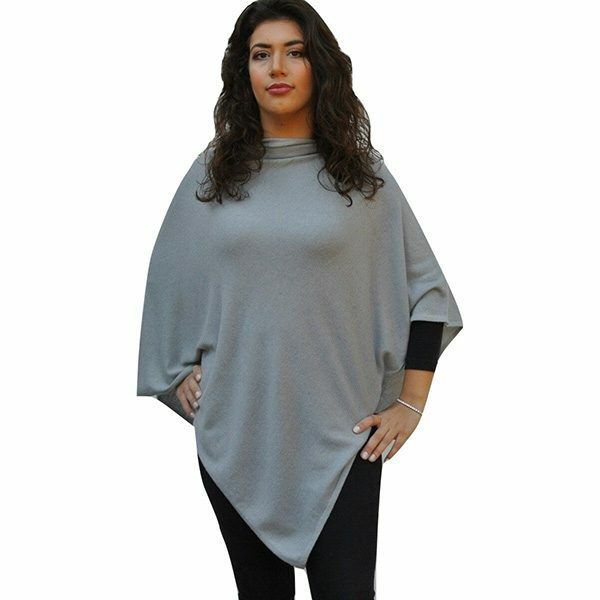 These neutral colours are suitable for teenagers to middle-age and senior women and can go with all type of clothing, is one such choice to consider. The cable pattern weaving looks stylish and gives a symmetric look. The build-up is perfect for hanging from your shoulders without gliding on sides. The local artisans of Nepal source the material form only the Cashmere goats or “chyangra” goats and export them exclusively to Karianne’s Secret. 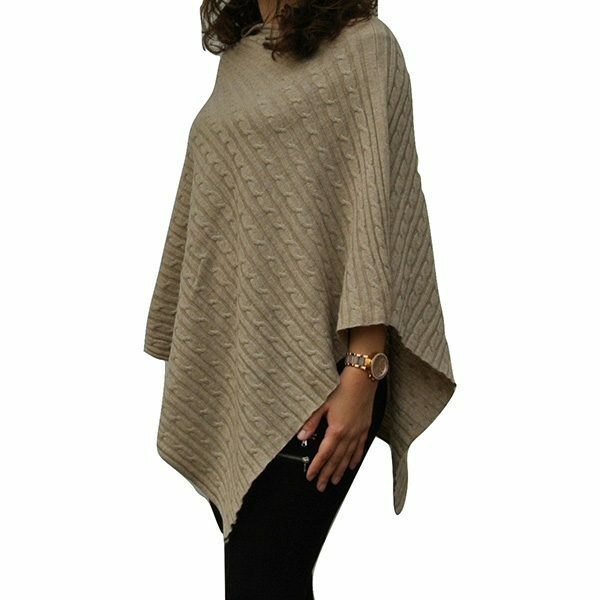 Each colour variant has one shade darker or lighter variant too for you, for example the Beige poncho has the darker version of Oatmeal Beige and the Pale Grey poncho has the darker shades like Mid Grey. 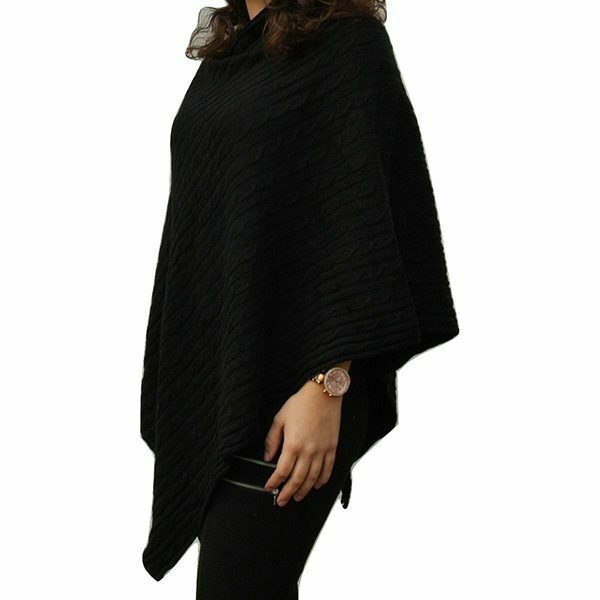 The lightweight variants are more suitable for daily wear and weigh 230 grams like the black Cashmere poncho. 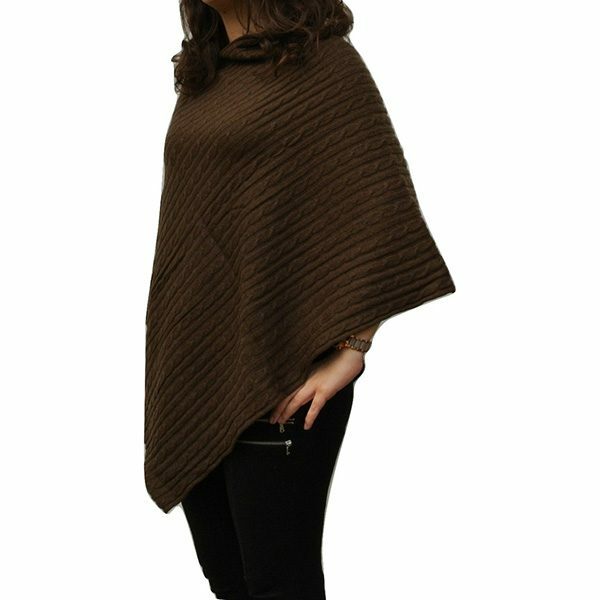 The Cable-knit poncho is for colder weather and light use as they weigh 250 grams. Check the black Cable-knit version. Lightweight variants are available in fifteen colours and the Cable-knit is available in ten variants. 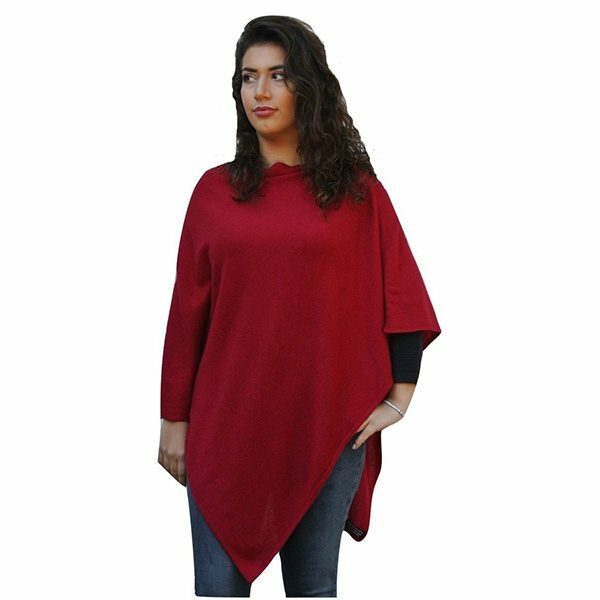 Dry cleaning or gentle washing by hand with mild detergent is recommended for the ponchos as they are quite delicate and prone to lose shape with spinning, wringing, stretching and hard ironing. Delicate mode, low temperature machine washing can also be done, followed by drying on flat surface low temperature garment iron.